What a fantastic (and short) month we had in February! Exploratory week was a huge success. If your child has not already highlighted this week for you – please ask them what they participated in, what new things they learned, and who their exploratory teacher was. Exploratory week is a great experience to learn something new inside and outside of the classroom. The students have been preparing their tables for performance this past week. What a busy week! Teaching, learning, band festival, orchestra festival, sporting events, parent/teacher conferences, the play, and much, much more. This past Wednesday, and Thursday I was able to witness our amazing Band and Orchestra playing at their respective festivals. Both Band and Orchestra did an amazing job and I am super proud of how our students and teachers represented Holland Christian. 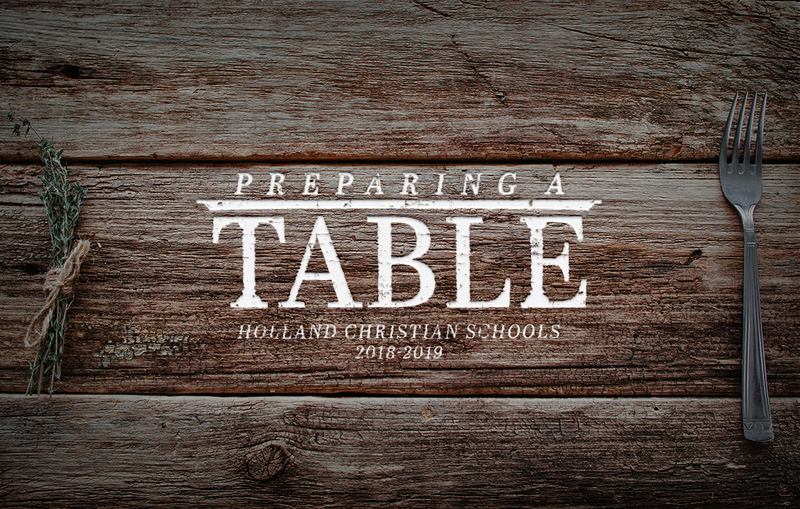 The students have also been preparing their tables for their teammates – our athletes are in the 2nd winter sports season, and it is coming to a close. I have been able to attend several sporting events and witness their hard work and dedication outside of the classroom. We are beginning to close the third academic quarter and look forward to hosting you again this coming Tuesday at our parent teacher conferences. Last night I was able to see the opening night of the play – The Jungle Book! The students and directors did an amazing job! Reflecting on this past week, I have observed the students and teachers working so hard to make up for lost time from the many snow days that we encountered. I close with a Bible verse about hard WORK.